Chip Somodevilla/Getty ImagesComing soon to the Apple App Store: Goldman Sachs digital banking. Pictured: Lloyd Blankfein. 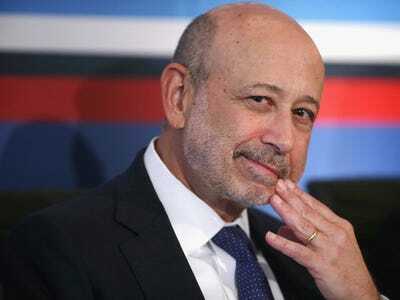 You’ll be able to access and manage your Goldman Sachs accounts through an app on your smartphone in the near future. Goldman Sachs, which has been expanding its offerings to retail consumers in recent years, is building an iOS app for its growing crop of digital retail banking services, according to a job listing on the company website. The bank is recruiting mobile developers to work in its Consumer Finance Technology division and build a “best of breed platform that is both elegant and powerful” for its “all digital retail bank,” which would likely include services like its new personal loan platform Marcus, high-yield savings accounts, and a forthcoming robo-advisor platform. The company has existing mobile apps for its high-net worth wealth management customers, as well as for employee recruitment and monitoring markets, but it hasn’t previously released an app for retail banking consumers. When reached for comment, a company spokesman wouldn’t say whether a new consumer app was was under construction. “We’re always interested in finding great tech talent, but we don’t have anything to announce,” said Andrew Williams, vice president for corporate communications at Goldman Sachs. Goldman Sachs — which is best known for wealth management, trading, and investment banking — has been rapidly expanding its retail footprint, notably with the October launch of Marcus, which offers unsecured personal loans from $US3,500 to $US30,000 to prime borrowers. Goldman Sachs CEO Lloyd Blankfein told CNBC in June that the online lending platform had already issued more than $US1 billion in loans, eclipsing that mark quicker than other online personal lending competitors like Prosper or Lending Club. Marcus is on track to extend $US2 billion in loans by the end of the year.